With nine games remaining, we have taken an amazing five-point lead at the top of the table. During the past two months we have demolished three teams in the F.A. Cup including Brighton, Bournemouth and Burnley which sets us up for a Quarter-Final clash with Conference outfit Yorkshire Amateur. In the Capital One Cup, we defeated West Brom over two legs in the Semi-Final as we head to Wembley for the second Capital One Cup Final in two years. Here we are, Bradford Park Avenue at our zenith. 29 games deep into the season and we lead both Manchester clubs by a five-point margin. As we are still in all competitions we entered at the start of the season, we must try not to lose focus on the league as it is one of our main objectives this season as part of my new contract. With both Manchester clubs deadlocked on 65 points, five points behind us it is Arsenal who follow up in the last Champions League position, eleven points away from top of the table on 59 points. Despite the large gap between top and fourth place, the gap between Champions League and Europa League football. Fulham (5th) sit a whole ten points behind Arsenal, closely followed by Sheffield United in sixth. At the bottom, Leeds United have properly started their fight against relegation. The West Yorkshire side began the season on minus five points, but they are now one point away from the safety of 17th place. Aston Villa are stuck on the same points as Leeds, but it seems Leicester City are finished for the season. The Foxes are eight points away from safety on 14 points. 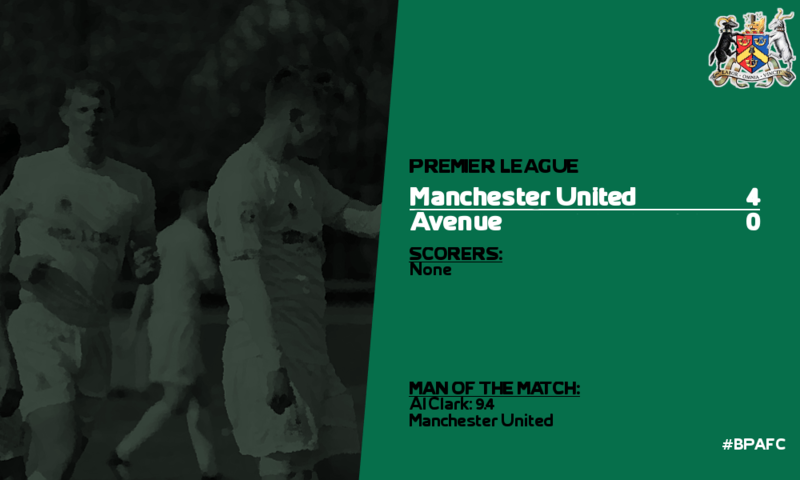 It is our very own Avenue veteran who has won the Player of the Month(s) award for both January and February 2024. The Irishman - who closes in on 300 league appearances for Avenue - has done superb in the past couple of months. 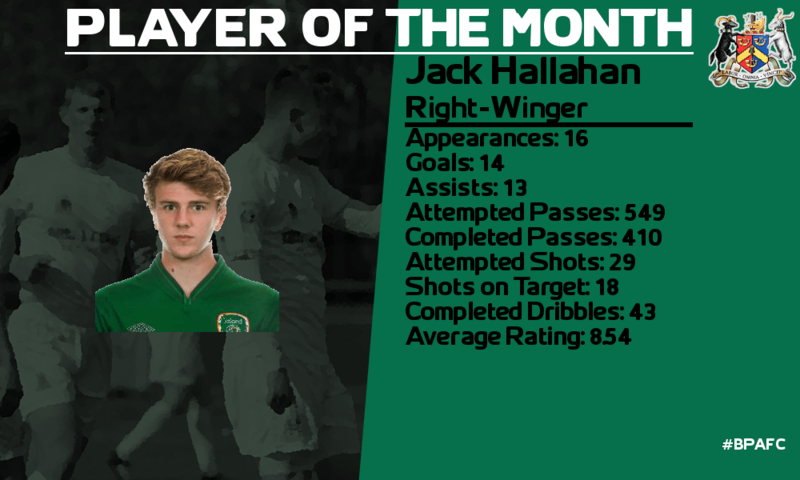 Hallahan scored 14 goals and assisted 13 times over the course of 16 games, making him an undoubted contender for the award. The winger has made 382 appearances in all competitions for Bradford (298 league) since joining in 2015. The end of this season will mark the end of his ninth consecutive season at the club, for whom he has scored 109 goals for and assisted 144 times. Hello! Welcome to this year's Capital One Cup Final at Wembley. This is the BBC who will be broadcasting today's match-up between Arsenal and Bradford Park Avenue. This is the second consecutive Capital One Cup Final that Bradford Park Avenue have appeared in after they won the tournament last season in a 2-0 victory over Manchester City. But before that, Bradford's opponents today won the competition three times in a row between 2018 and 2021. Arsenal arrive at Wembley today placed in fourth place in the Barclays Premier League. Both teams had a reasonably quiet January transfer window, Bradford only bought Tornike Maisuradze from Málaga for £3M, meanwhile Arsenal invested in Montpellier's Hassan Akpan for £2.5M and Derby County's Ekrem Cosic for £9.25M. It's a crushing blow for Arsenal today, though. Their Spanish striker Álvaro Morata is missing today's Final through suspension. Morata is Arsenal's top scorer this season with 14 goals in 25 matches. Morata joins Alex Oxlade-Chamberlain and Ross Barkley on Luis Enrique's injury list. On Bradford Park Avenue's side, it is also a big miss for Carmelo Troccoli who misses the Final through a strained knee ligament. The former A.C. Milan winger has been a class act this season for Bradford, scoring 15 and assisting 18 in 24 league games. Avenue's January signing Tornike Maisuradze is ineligible for this match. Arsenal Subs: C. Kjetil Haug (GK), J. Emmanuel, E. Oikonomou, Kuki, H. Menad, J. Bernat, H. Akpan. Bradford PA Subs: E. Cervantes (GK), C. Holmes, R. Cabella, R. Pursehouse, T. Carroll, A. Duncan, S. Walton. A pair of very menacing lineups there which should set up to be a delight of a football match today. Lee Probert is making his way out with his two linesmen and fourth official, so we will head to our commentators for today's match. 1': Well yes, two sets of good players out there today. Bradford remain in every single competition they entered this year, with an F.A. 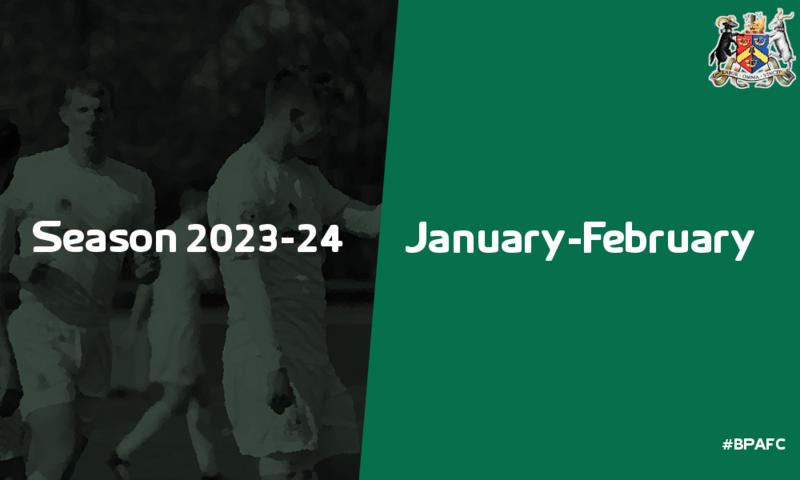 Cup Quarter-Final against Yorkshire Amateur to look forward to after this Final, followed up by a Champions League Knockout Round match against Marseille which they have the upper hand in after winning the First Leg 4-2. Arsenal will also participate in the Champions League, but lost 1-0 in the First Leg to their own French opponents in Paris Saint-Germain. They were knocked out of the F.A. Cup by Stoke in the 3rd Round. The two colour sets today start with Arsenal's all-black away shirt, meanwhile Bradford Park Avenue don their distinctive green and white hoops. It's Arsenal to get us underway here at Wembley with Mohamed Messadi - their £40M summer signing from Atlético Madrid. And away we go! 2': Here's Hector Bellerín with a throw deep into Bradford territory here on the near side. Lloyd nods away but Panek has recovered it for Arsenal. Louis Reed now, Alustiza... Threads it through to Fageraas! John Taylor's parried it away! Thomas Lemar is there!!! GOAL!!! Arsenal have broken the deadlock just one minute and thirty seconds into the fixture! It's the winger Thomas Lemar with the opener for Arsenal, great passing movement! 20': Gerardo Fageraas with the free-kick from near the halfway line for Arsenal. There's men looking to rush into the box from this, if the left-winger can reach them. Ian Byrne heads away the cross bravely as Richard Webb wins the second ball. Matthew Fletcher - who plays left-wing in Troccoli's absence today - has received the ball. Here's Dinaburskij at the halfway line now. The Ballon d'Or runner-up is stopped in his tracks by Bellerín. Fletcher recovers possession for The Stans now. It's been fed to Dinaburskij who plays a long ball out wide to Bradford legend Jack Hallahan on the right wing. Panek has tried to header it clear, it's fallen at Webb's feet though. Webb to Dinaburskij here. Dinaburskij's turned out to his right, he's fed in Matthew Fletcher who's unmarked!!! GOAL!!! Matthew Fletcher has blasted it past Simone Scuffet for the equaliser here! It's all square in the twentieth minute here!!! 21': Arsenal get the action underway again from the kick-off. The ball is sprayed across The Gunners back four, from Duarte right over to Bellerín on the other side. It's now in Bradford's half but Arsenal's attack find themselves outnumbered by Avenue's defence here. Thomas Lemar wanders down the right wing with the ball, seemingly going right over into the corner. Montenegro is tracking him all the way... Magnificent challenge by Joan Montenegro as he comes away with the ball, instigating applause all around the arena. Fletcher has tried to find Jurij Dinaburskij up the left-wing now, it's failed as Bellerín heads away but now the captain Ben Blackmore finds himself in lots of space here. The Australian midfielder has managed to set Dinaburskij free this time with a pass down the left. Passed back to Fletcher. He's spotted Tobias making a darting run forward - great switch of play by Fletcher - the Brazilian right-back is surging forward with the ball at great pace now. Tobias swings a low cross along the six-yard box! Dinaburskij's there to meet it first! Saved! On the rebouuuuund!!! GOAL!!! It was just two minutes ago that Bradford were losing this match, now they're in front thanks to Fletcher and Dinaburskij!!! It's 2-1 to Avenue! 45+1': Half-time at Wembley Stadium here in the Capital One Cup Final. Arsenal find themselves a goal behind Bradford at the break with a lot of work to do from here if they want to win this match. 46': Jurij Dinaburskij gets the second half underway from kick-off. 56': Hector Bellerín with the throw-in for Arsenal. Thomas Lemar touches the ball up and sends a light volley back to Bellerín on the touchline. Lemar receives the ball back but Bradford's Ian Byrne clears the ball. Jason Denayer sprays it out wide to Bellerín again. Hector Bellerín now... Crosses the ball in at waist height... Messadi's there! GOAL!!! Arsenal have drawn level with Bradford! It's their £40M man Mohamed Messadi with the goal and The Gunners are back in with a shout here! 67': Changes for both teams here. Joshua Emmanuel replaces the hard-working Hector Bellerín for Arsenal. Aldo Ríos makes way for Roger Pursehouse up front for Bradford Park Avenue. 73': Another change for Bradford Park Avenue here. 33-year-old Rémy Cabella replaces Jack Hallahan on the right-wing. Perhaps Bradford are looking to conserve now, with less pace available on the right wing. 78': A double substitution for Arsenal here. The central midfield duo in Louis Reed and Miroslav Panek make way for the oncoming Kuki and Hamza Menad. Bradford PA also make a change. Courtney Holmes comes on for Luke Lloyd in defence. 90+4': It's the end of normal time here in London. Arsenal and Bradford PA are still level with each other at the end of ninety minutes which means the referee calls for extra-time and penalties if necessary. It's Arsenal 2, Bradford Park Avenue 2. 91': Arsenal kick off the first half of extra-time with Messadi. 92': Here's Bradford's second half substitute Rémy Cabella with a free-kick in a nice position to bend a cross in. The Frenchman whips it in with his right boot... It's zipped in, in fact... Dinaburskij has broken free from his marker here... GOAL!!! 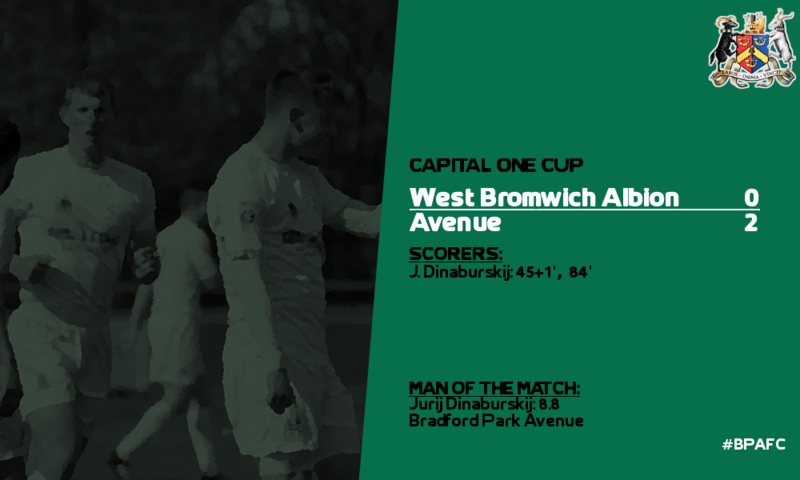 Jurij Dinaburskij has put Bradford Park Avenue ahead for the second time with an extra-time header from a fantastic Rémy Cabella cross!!! It's 3-2 in the second minute of extra-time! 93': It's Arsenal to take the kick-off for the fifth time today now. Menad passes to Lemar. Back to Brendan Galloway who spreads the play to the left hand side with Fageraas. Tobias closes in on his man here... Oh, and that's a bad trip up there... And he's already on a yellow card! Lee Probert calls him over. He's having a word with the young Brazilian there... He's reached for his back pocket! Red Card for Tobias! So soon after so much joy thanks to Dinaburskij's header, Avenue are deducted to ten men for the remaining 27 minutes of the game! Chabukiani is livid! 120': Richard Webb on the near side with the throw-in. Bradford are restricting all their men now, Pursehouse receives the ball from Webb inside the area. Galloway turns away his cross into the box and Messadi receives the ball, a last chance here? Kuki dummies the ball for Menad... But Menad wasn't ready! Ian Byrne retrieves possession for Bradford, much to the delight of his supporters. Byrne pumps the ball out to the left for Courtney Holmes to win... FULL-TIME!!! 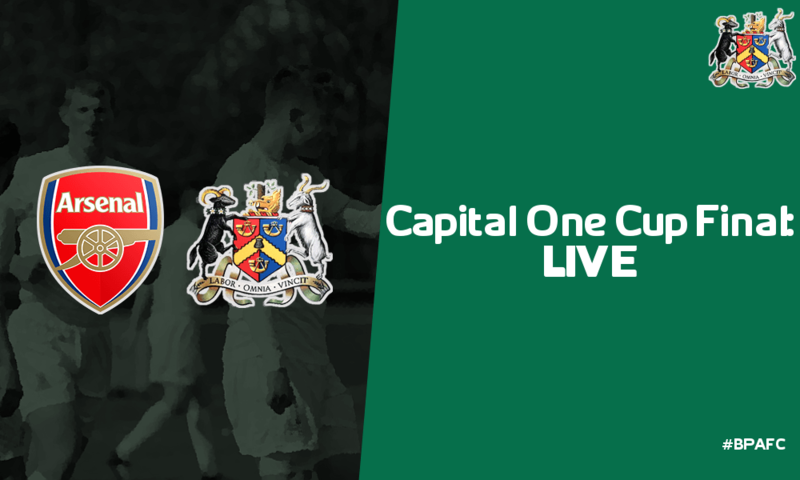 Bradford Park Avenue have won the Capital One Cup for the second year in a row!!! A highly-entertaining fixture here as Avenue take the spoils, despite going a man down straight after scoring the ultimate match-winner from Jurij Dinaburskij - who is today's Man of the Match thanks to his brace and assist for Fletcher's goal - a real inspiring performance today from the Russian, but an excellent team effort from everyone involved at Bradford Park Avenue! They say European nights in football are the best nights. But how good are European nights against Real Madrid in a Champions League Quarter-Final? Well, that is what The Avenue will be expecting on the 9th of April when Míchel's men rock up in West Yorkshire for the UEFA Champions League Quarter-Final First Leg. The draw was made shortly after Bradford Park Avenue polished off their Knockout Round opponents Olympique de Marseille in an 8-4 aggregate victory over the two legs. Bradford Park Avenue are the only remaining English club left in the competition following Arsenal and Manchester City's exit at the expense of Paris Saint-Germain and Atlético Madrid respectively. Everton were knocked out at the Playoff stage by FC Porto. I'm proud of the board, the players and of course the fans for getting us this far. Ten years ago we would have never even thought of being in this position where we have a Champions League tie against Real Madrid. To say that we are the only remaining English team left in the tournament speaks loudly about just how far ahead we are of teams in our country in such a short space of time. I am delighted to be welcoming Míchel and his team to The Avenue in April, but I will be disappointed if we don't send them back to Spain with tears from their eyes. The draw is said to be one of Chabukiani's toughest moments as the club manager of Bradford, but the young gaffer will be spending longer on the training ground than ever before in the build-up for this match which is the most highly-anticipated fixtures to ever take place at Bradford's new stadium. Real Madrid finished second place to Arsenal in Group C as the Group Stages of the competition concluded, relegating Wolfsburg and FC Midtjylland to the Europa League in the process. But after a fairly comfortable qualification to the next round, they struggled to put their opponents - Dutch champions AFC Ajax - to bed in the Knockout Stage. Los Blancos defeated Ajax in Holland, before scraping a 1-1 draw at the Santiago Bernabéu. However it is the opposite story for Bradford Park Avenue. Chabukiani scraped his team through the Group Stage, third in the Group until the final match where it finished with the top three teams all on 12 points. But in the Knockout Phase, Avenue dominated Marseille as they won 4-2 in both England and France, totaling an 8-4 aggregate score. With regards to league performances, Bradford Park Avenue are leading the way with ease in the Premier League at the top of the table with an eight-point gap between themselves and Manchester City in 2nd. For Real Madrid, they are looking for their first Liga BBVA title in eight years. They are currently 3rd (behind Atlético and Barcelona) but could take top spot should they win both of their games in hand on Atlético. 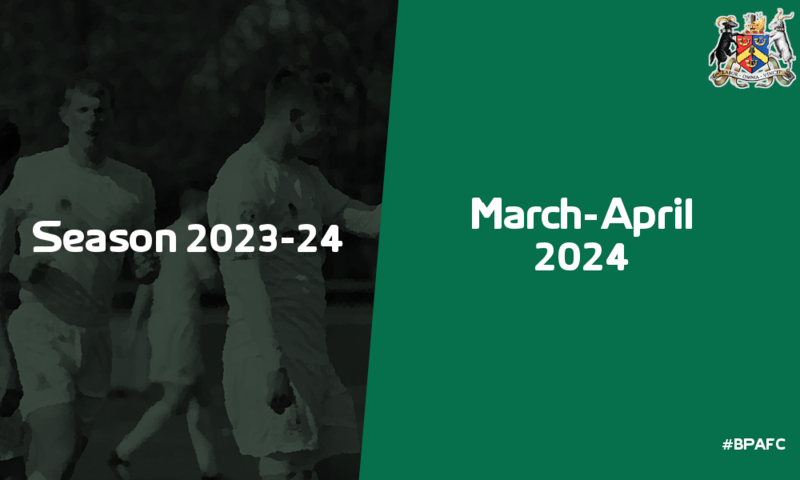 Bradford Park Avenue's ties against Real Madrid will be on Tuesday, 9th April 2024 (@The Avenue) followed by the away tie on Wednesday, 17th April 2024 (@Santiago Bernabéu). Both Legs will be televised in the United Kingdom and Spain on Sky Sports. What a result against Arsenal man! Congrats on the silverware! Real will be tough but I'm sure you can get through it! 2016-09-27 20:39#237416 mgriffin2012 : What a result against Arsenal man! Congrats on the silverware! Real will be tough but I'm sure you can get through it! Go back ten years and tell any die-hard Bradford Park Avenue that they will win the Premier League in a decade's time, they would probably tell you to put your crack-pipe down and go to rehab. However, today is the day. On Saturday the 20th April 2024, at 14:45 in the afternoon Andrew Taylor called full-time on the biggest match in Bradford Park Avenue history. The match that won the club its first ever Barclays Premier League - Yorkshire's first top-flight title since 1992. After years and years of dominance by Arsenal, Chelsea, City, United and even Tottenham, the title has finally been handed over to a new outfit for the first time since Blackburn Rovers won it in 1995. 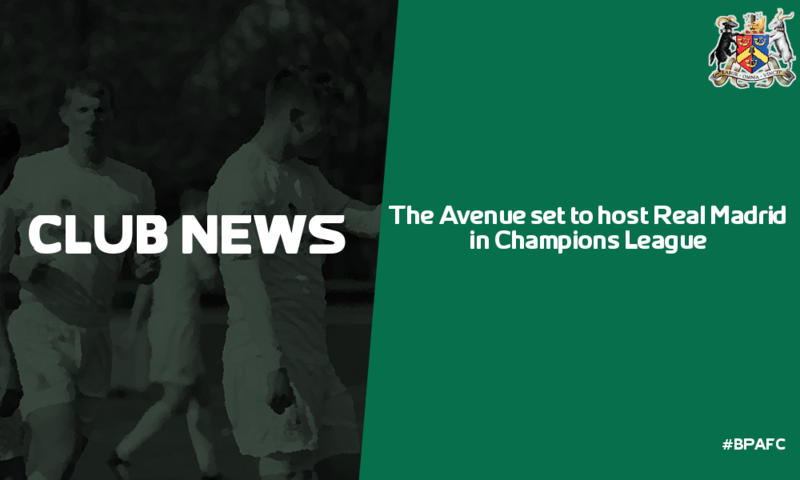 Adam Chabukiani has assembled a team over the almost nine years he has spent as manager of Avenue that is now ultimately great enough to topple the whole English footballing system. And they are not even stopping off in England. They have a Champions League Semi-Final to look forward to. Jack Hallahan was Chabukiani's third signing for the club, a list that contains 175 names worth almost £400M. But Hallahan costed the club £0, and he played for this Premier League winning team 49 times in the sixth tier of English football in his first season following his release from West Brom. This season he has made 56 appearances in a season where his side have won the Community Shield, the Capital One Cup and the Premier League and have Semi-Final ties in the F.A. Cup and the Champions League. As the whistle went against Chelsea, he knew that he had made history. Jack Hallahan scored his first professional goal for Bradford on 24th October 2015 in an F.A. Cup 3rd Qualifying Round tie against Thurrock. Today, the same Irish winger scored Avenue's only goal of the game against Chelsea to hand his team the single biggest prize in English domestic football. The Barclays Premier League trophy. Adam Chabukiani has managed to build the perfect team, from John Taylor in goal up to Jurij Dinaburskij leading the front line in the purpose of goals. Matthew Fletcher, Roger Pursehouse and Jack Hallahan remain the only players left from Chabukiani's first season at the club, with Ben Blackmore joining the year after. All of whom have instated their name in the clubs annals. From a squad doomed to relegation from the National League North when he took over, to a squad worth well over the £500M mark, Chabukiani has well and truly instigated one of the largest scale transformations of not only a football club, but of a business. From a value of £250,000, John Dean has seen his potential fortune rise to it's current value of £928,000,000. Fans are worshipping manager Adam Chabukiani after today's result, stating that he is the best football manager ever to set foot on the Earth. There are even calls to build another stadium, just three years after the erection of The Avenue in 2021 because the demand for tickets is likely to explode thanks to the astronomical surge in reputation of the club, and The Avenue's inability to expand beyond its current capacity of 31,000. But tomorrow Bradford Park Avenue fans will be nursing hangovers due to the non-stop partying in London and West Yorkshire tonight, not to mention when the trophy is finally handed over on the final day of Premier League football against Everton on 19th May at The Avenue. Avenue fans have seen a ten-point gap develop between themselves and Manchester City in second place (despite having a game in hand). With just two league games left, both home ties against West Brom and Everton, Bradford will turn their attention to the F.A. Cup Semi-Final tie against Chelsea at Wembley as well as the two legs of the Champions League Semi-Final against Atlético Madrid. CHAMPIONAYS CHAMPIONAYS OLAY OLAY OLAY! Well that is that! The Premier League title is all wrapped up in golden paper and will be handed over to us next month when Everton visit The Avenue on the 19th. It will be a historical day as it is the first ever time that Bradford Park Avenue have won the top division throughout our entire 117-year history of the club. On top of that we have an F.A. Cup Final to look forward to, as well as a huge tie against Atlético Madrid in two Champions League Semi-Finals. With two games to go and the title in our hands for definite, we are seven points ahead of Manchester City who sit in second place. We could bag six extra points which would take us up to 92 points however I would like to play a younger team in preparation for our fixtures in the F.A. Cup and Champions League. The top four stands as ourselves, Manchester City, Manchester United and Arsenal which means that them four teams will be playing in the Champions League next season. 4th placed Arsenal are 13 points ahead of Fulham in 5th which shows the gulf in quality between the top four and the rest of the league. Fulham, Sheffield United and West Brom have qualified for the Europa League. 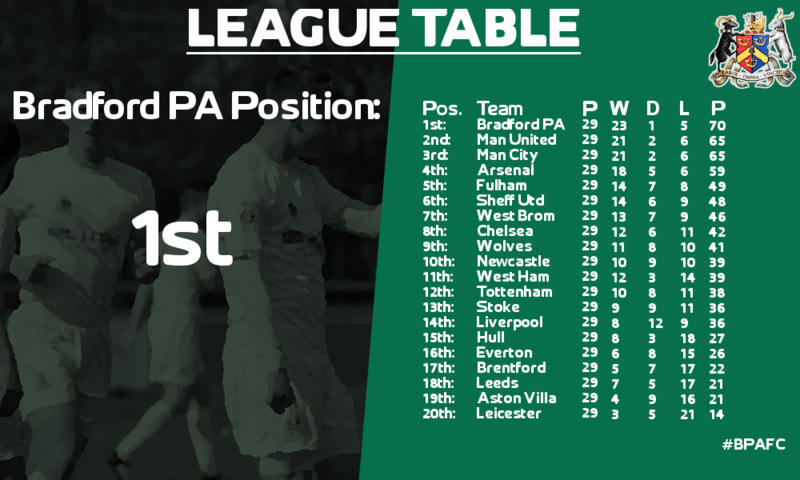 It is extremely tight at the bottom of the table with Leicester City coming across as one of the worst teams in Premier League history as they only have 14 points this season - three points above of the official worst finish in the league which was Derby County in 2008 when they finished with 11 points. However, Leeds United, Aston Villa and Hull City are all fighting for their Premier League lives with Leeds and Villa on 28 points and only need a win if Hull lose their fixtures. Hello! A very warm welcome all the way from the German capital that is Berlin. Tonight we will be covering the UEFA Champions League Final at the Olympiastadion live on Sky Sports One. Tonight's match features French champions Paris Saint-Germain, led by Gerardo Martino and the new English champions Bradford Park Avenue, led by legendary manager Adam Chabukiani. The tie today demonstrates the switch in footballing power in the past twenty years. PSG's success started in 2010 with the arrival of Qatari multi-billionaires as they splashed the cash on the likes of Zlatan Ibrahimovic and Thiago Silva. However, Bradford's story begins in 2009 as Adam Chabukiani takes the assistant manager role under John Deacey in the sixth tier of English football, which is were the Georgian-born manager learnt his skills as a manager. In 2015, Chabukiani took hold of the club due to John Dean's failure to find a replacement for Deacey. Bradford have since rocketed up the footballing ladder in England, with Chabukiani bagging nine trophies in the process - today could be his tenth if Avenue go home with a win against PSG tonight. This season, PSG were pipped by AS Monaco to the Ligue 1 title by two points in Martino's first season as manager at Parc des Princes. However, Bradford PA bagged their first ever Premier League title along with the Capital One Cup and F.A. Cup just four days ago. Both teams have now handed in their team sheets to 60-year-old referee Paolo Mazzaleni, from Italy. PSG Substitutes: 30. B. Ozbay (GK), 17. N. Huarte, 15. G. Imbula, 11. D. Alonso, 22. V. Aboubakar, 5. M. Gómez, 31. M.M. Daehli. BPA Substitutes: 25. E. Cervantes (GK), 13. C. Holmes, 14. R. Cabella, 19. R. Pursehouse, 16. S. Walton, 24. T. Carroll, 17. A. Ríos. Two very strong sides there, however PSG are missing their first-choice winger Lazar Markovic today through injury which will no doubt be a boost for Chabukiani and his men, who are a fully fit first-choice eleven out there tonight. 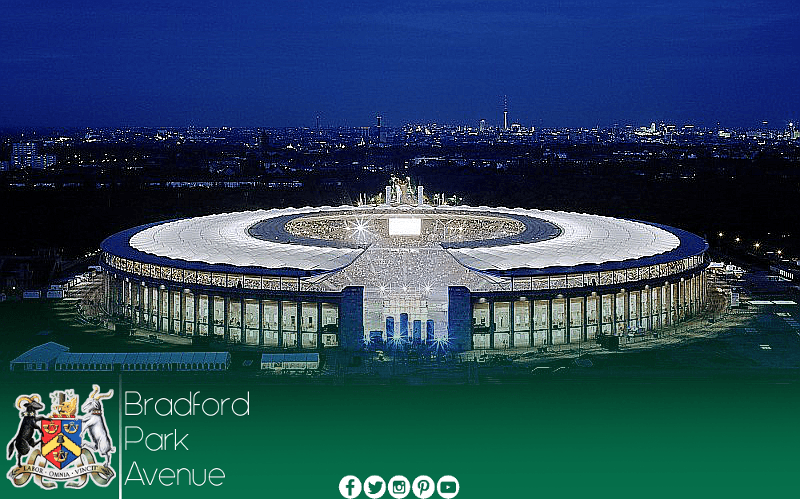 It's 7:43pm and we will now head to your commentary team for tonight's UEFA Champions League Final between Paris Saint-Germain and Bradford Park Avenue. 1': Good evening everybody, tonight it is Paris Saint-Germain who have won the coin toss and will take the kick-off for the 7:45pm start. Peter will start the proceedings here with a pass back to Cristante. 7': It's Tin Jedvaj with the throw-in out on the left. There are blue shirts piled into the box, expecting a long throw by the Croatian full-back. It is long... Luan has nodded it towards the back post where De Vrij is waiting! Missed! The Dutch centre-back has missed an absolute sitter early on in this one! He may live to regret that. 24': We have Jedvaj again with a throw-in on the right hand side this time. It isn't close enough for a long throw this time which means support arrives closer to him. Cristante passes back to the thrower, Jedvaj. Verratti has managed to pick out Malcolm on the right... He cuts inside and Luke Lloyd can't touch him here! Hit just over the crossbar by the right-winger there! 40': Luke Lloyd's cross has been intercepted by Paris' defence there. Poor effort. Luan passes short to Verratti who spots Malcolm in space over on the left now. Malcolm's pass only just evades Blackmore to reach Peter now. Jedvaj is spotted in tonnes of space on the right, he charges down to the byline before cutting one back for Luan! Stopped by John Taylor and Lloyd gets it away. 46': Jurij Dinaburskij kicks off the second half for us here in Germany tonight. Bradford are out looking for their first ever Champions League title, Paris looking for their second in three years. 50': Lucas Digne with a throw-in for Paris over on the far side near the dugouts. Verratti has played a poor ball to Peter there, not what you expect from a world-class midfielder like Verratti. Ian Byrne cuts it out and hammers it over to Carmelo Troccoli over on the left. Troccoli accelerates past Stefan de Vrij with ease here. Troccoli has reached the byline... He's put one across goal... GOAAAAAL!!! WE HAVE AN OPENER HERE!!! Who else should it have been apart from Jack Hallahan on the volley! The club legend who has been here for nine years has done it for the club that he loves the most!!! It's 1-0 in the big one, Bradford Park Avenue have the lead! 64': John Taylor plays it short from the free-kick. Tobias finds Webb up the wing with a low pass. Bradford work it up the right using Hallahan and Dinaburskij now. Hallahan has found Matthew Fletcher in the centre, who has turned away from Marquinhos... He's found Troccoli's run! Volleyed just over the bar by the Italian winger! 72': Malcolm with the corner coming in from the left hand side. Excellent defensive header by Joan Montenegro of Bradford Park Avenue. Fletcher awaits support from his teammates. It is well held up by the Australian before finding Ben Blackmore, who hits it first-time to Troccoli who has plenty of space down that left side here... Troccoli is one-on-one... Great save by Dragowski! Poor defending from PSG, though! 90+3': We're entering the dying moments of the Champions League Final here. Bradford are seconds away from bagging one of the most coveted awards in world football after one of the most remarkable rises to power ever seen in the game's history. Carmelo Troccoli is taking his time with this corner - he knows that this passage of play will go down in history. The Bradford bench is all stood up in anticipation for the referee's whistle, Chabukiani is closing his eyes over there. Troccoli runs up. It's swung in... Jedvaj has cleared it... AND THAT IS THAT!!! Bradford Park Avenue complete their unstoppable rise with a Champions League trophy!!! What a night! Avenue fans will remember this cold June evening in Berlin forever! The victory tonight has won Adam Chabukiani his tenth trophy as Avenue manager, and he fully deserves it! On your screens as we speak are the five most influential club legends at Bradford. Adam Chabukiani, Wayne Benn the assistant manager, Matthew Fletcher, Ben Blackmore and Jack Hallahan. They are huddled together, realising what they have achieved tonight. I don't even need to talk. The pictures say it all here on Sky Sports One. 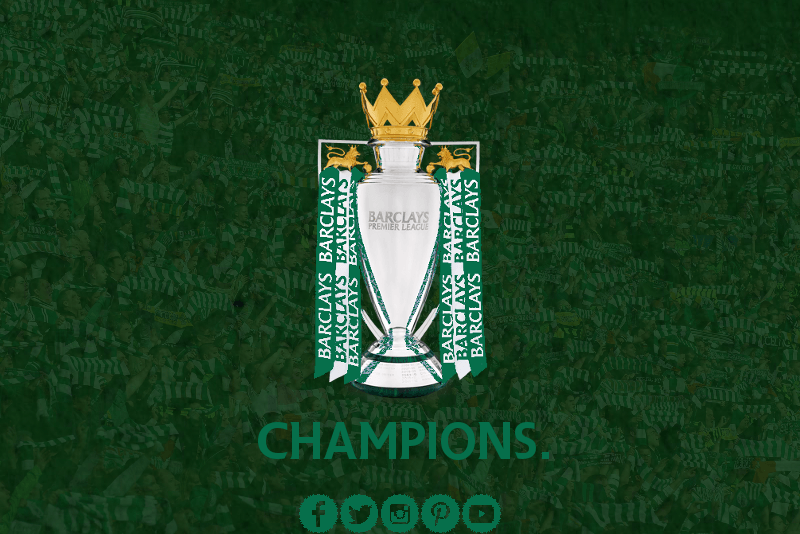 Bradford Park Avenue are the UEFA Champions League winners.